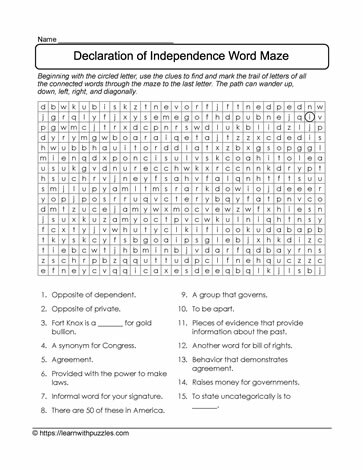 Amaze classmates, friends and family as you solve this free, printable word maze about the Declaration of Independence. Use the clues in the puzzle to figure out the word. Start at the first circled letter, and weave your way around the maze to complete the puzzle.